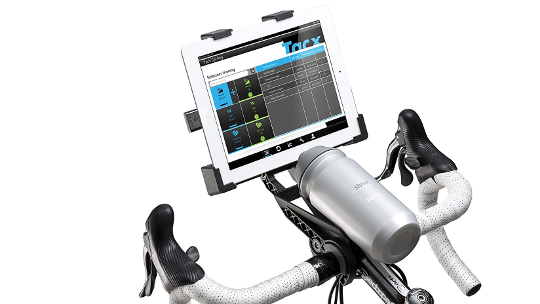 This handlebar bracket has been developed to attach a tablet on the handlebar. 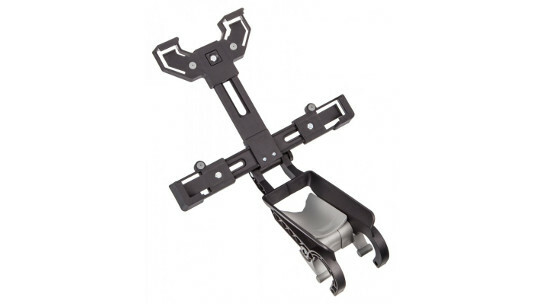 The bracket is suitable for handle bars with a diameter ranging from 26 to 35 mm and is adjustable to different tablet sizes *. The design has taken a safe distance into account to prevent sweat from falling on the screen while you are training.